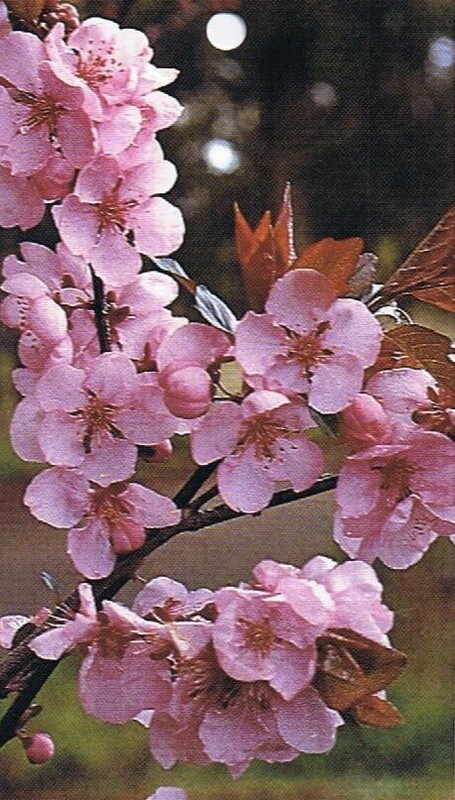 A compact Flowering Cherry with abundant tight, rosy-pink flowers in mid-spring. 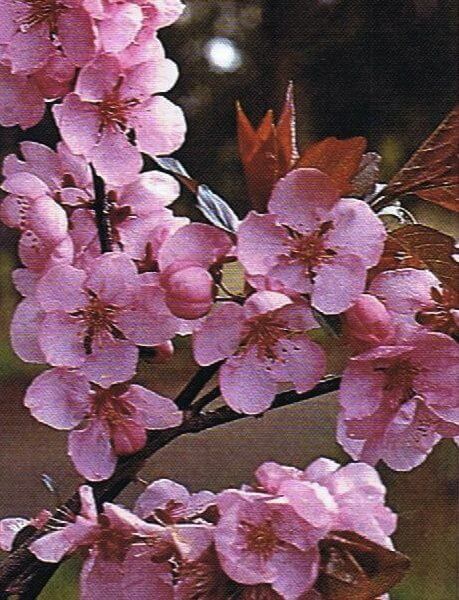 Upright, vase shaped small spreading tree. Dark green leaves up to 12cm long stalks, with tightly packed small petals creating a serrated appearance.